This past weekend I spent my time reading and listing to Catholic radio. Of course I cleaned the house, did my wash and other such tasks, but I spent a lot of time sitting and reading. It was nice, I have not had a lot of time to do that, or should I say I have not made time to do that. I love to read, as anyone who knows me would know. I read all kinds of stuff, I read books for just pure entertainment, books on the Catholic faith, political (conservative) books and byes even some books on spirituality. I read Catholic and Political magazines and newspapers and a few journals. I just love to read! I even read on line sometimes. I always have a book in my car, for emergency reading and I have downloaded some eBooks on to my laptop, so I always have something to read. But truth be told, I don’t like to read online, I prefer to print it off, ya I know not very green of me… But I like to hold it, to feel the paper when I read. It’s just the way it is. It has not always been like this for me, at one time I hated to read. I school I hated it, it wasn’t until I graduated High School that I actually read a complete book. the book was the classic by J.D. Salinger’s “The catcher in the rye”. I read it because of my other passion, The Beatles. I am a huge Beatles fan, and the murderer of John Lennon, Mark David Chatman, stated that this was the book he read that made him kill Lennon. So I have to read it. And read it I did, I have read that book well over 100 times, I love it, and J.D. Salinger is one of my favorite authors, along with Steven King. Bit I have never reread a Steven King book, but I have reread all of J.D. Salinger’s books.. I love his style.. The point of this blog, knowledge. I read not only for enjoyment but also to grow my mind, soul and heart. I hind that reading, like no other activity, allows me to do this. It is a time of peace and quiet a time for me to dissolve into myself and a time for the voices of the authors to speak to me. I look at each and everything I read as an opportunity to learn, to grow. Truth be told, I look at everything in life as an opportunity to learn and grow. My mom use to always say that I was to “preachy” that I try to turn everything in to a lesson. Well I do and I know it, but I find life to be a very good classroom. But my personal reading is my privet classroom. I learn just as much from Steven King as I do from Bishop Fulton Sheen. Sure Bishop Sheen is dealing with my soul and faith and King normally is dealing with things of the supernatural, but in truth there is more in common that one may think. It is Kings character development and the underlining psychology of his characters that teach, and often times his stories do also. Fulton Sheens style is more poetic than Kings therefore it flows like honey as you read it and Kings style is, well more, modern in language (nice way to say the words and images used would not be appropriate for young children). Bishop Sheen would also not be appropriate for young children, not for the imagery or words used, but for the depth of the words used. But both would be good for teens that are mature and have an ability to think outside of themselves and the box. As Catholics we as called to proclaim the Gospels (the Good News) to all the corners of the earth, to all the nations. As baptized Catholics we are baptized as priest, profit and king. We are give an office with in the faith. But how can we all be priest, profit and king, and what does that mean? We are called to be priest, not ordained priest like Father at the parish, but non-the-less a priest. so what is a priest, well in the old testament a priest was the one who offered up the sacrifice for the people of God. In the modern world the priest also offer up the sacrifice for Gods people, they offer up the bread and wine. They offer up our sins in the confessionals for forgiveness of our sins. So how are we priest? We cannot offer up the Bread and Wine nor can we hear confessions and offer forgiveness. So what, if anything, can we do as priest. Well we can still offer up a sacrifice, our suffering We can offer up our work, our abilities and our service. We are called to be profits, but if we think about what a profit is or who was a profit it can sound very intimidating. Elijah was a profit as was Moses and Aaron. The Old Testament is filled with them, and each of them did basically the same thing, they proclaimed Gods message to others. That is the call of baptism, that is what the Lord has called you to in His name. But not all of us are called to Moses or Aaron or any of the other profits. Some are, but most of us are not. In the modern world I would say there have been a few who have been called as a Moses or Elijah, Pope John Paul II, Mother Teresa and Fr. John Recardo, to name just a few. But most of us are to be the profits of the back ground, no less important, just not as visible as the others. So how do we become the profit that God has called us to? We proclaim the Good New, we share our faith and we practice our faith. I am doing it with this blog, I do it with my company, STATIC Solutions, and I do it by offering my time to others. My name may never be known to others, and that’s ok, Mother Teresa said “Our job is not be become famous, but to become Holy” (may not be a direct quote, but almost). I think this is the hardest one to understand, how can we all be kings? All priest, sure you can have more than one, all profits, yep, several are better than a few. But all kings? This, in the material world, would never work out. So what is it that God is baptizing us into, what is kingship? If we look at the kings of the Old Testament we think of King David, the ruler of the Israelites. He was charged with protecting the people, providing justice and watching over them. If we look at kingship in the New Testament we see only one example, Jesus the Christ. Jesus spoke of his Kingdom often, and He spoke of how a King should act. But Jesus also showed us how a King should act. This is the Kingship we are called to. We are to protect what has been placed into our trust, children,pets,wife,husband,elderly,unborn,etc.. The list is endless. We are called to shepherd them and to provide for them. Think about it, If I fulfill my Kingship, I would make sure that all my Brothers and Sisters in Christ are provided for. If you fulfilled your Kingship, you too would also make sure that all your Brothers and Sisters in Christ are provided for, including me. If we all did this, all our needs would be met, and the Kingdom here on earth would be heavenly, not Heaven itself, but darn close. So are you ready to fulfill your calling as priest, profit and king? Most likely your all reading this thinking I am nuts. Well most people who know me would agree, but that’s a different point. Now that you know what you are called to, now you have to build up your toolbox with the tools you need to perform each office you are called to. This is were reading comes in to play…. See how I tied all that in…..
Link to Catholic Answers (www.catholic.com) Full of great information and a place to find answers concerning the faith. Link to New Advent (www.newadvent.com) Contains the CCC and Bible and Catholic Encyclopedia and Church Fathers. Link to my blog (www.staticyouth.wordpress.com) just because it mine…. and sometimes fun to read. Watch Catholic TV, Both EWTN and CatholicTV offer online web access to programming live. I would also recommend that you attend local bible studies or if your parish offers a RCIA for Catholics class, take it,or see if you can attend your local RCIA class. But make sure that the teachings are true to the Catholic Church and not some nutty DRE or Deacon’s personal wishes of what they think the Catholic Church should be. You need to do your homework first. The same is true for the bible you choose, make sure it is a good catholic bible. There are several around. As part of your toolbox you should also add a journal, journaling is an important part of your growth. Journaling offers you the ability to place on paper what is in you. If you can not articulate it well, the writing process will help you with this. I use this blog as my journal. So start blogging, or just use a note book or journal. There are several good places to start blogging, I have several feeds I use. There are a few more I feed to, but the two above are good places to start. The 4Marks is a Catholic social networking site that offers blog posting. WordPress is an open blogging site, so anyone can post blogs. This is my main blog posting site. So now that you got the tools, or at least a list of tools and you now understand your calling, the one you received at your Baptism, your ready to go right? Most likely not. We must pray prior to engaging others, be it face to face or through your blog. Prayer is you knocking on Gods front door, asking God to inspire you and to fortify you. 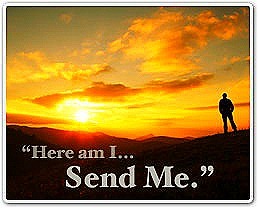 To send the Holy Spirit you you to help you fulfill your calling as priest, profit and king. Pray with a sincere heart and a silent mouth, allow God to speak. Pray often for guidance. This entry was posted in Called by God, catholic, Conservative Catholics, education, faith, Family, growing up, prayer, radio and tagged Aaron, advent, authors, baptism, beatles, bible, bishop, blog, Both, bread, brothers, Catechism, catholic, catholics, CatholicTV, characters, Chatman, children, christ, church, classes, classroom, comparison, comprehension, confessions, david, Deacon, depth, development, didn, door, earth, Elijah, emergency, Encyclopedia, enjoyment, entertainment, EWTN, example, faith, father, fathers, Full, fulton, gospels, growth, guidance, heart, heaven, High, homework, honey, husband, imagery, images, Israelites, Jesus, John, journal, journals, justice, kingdom, kings, Kingship, knowledge, language, laptop, Lennon, lesson, Life, Line, Link, listen, lord, magazines, Mark, message, Moses, Most, Mother, murderer, Nations, needs, news, newspapers, office, online, paper, parish, Passion, Paul, peace, places, Political, Pope, pray, prayer, Priest, Profit, profits, Radio, RCIA, Recardo, ruler, Salinger, school, Sheens, sins, sisters, solutions, Some, soul, spirit, static, Steven, Study, Sure, tasks, teachers, teachings, teens, Teresa, testament, Think, times, tool, toolbox, tools, truth, wife, wine, wishes, words, world. Bookmark the permalink.